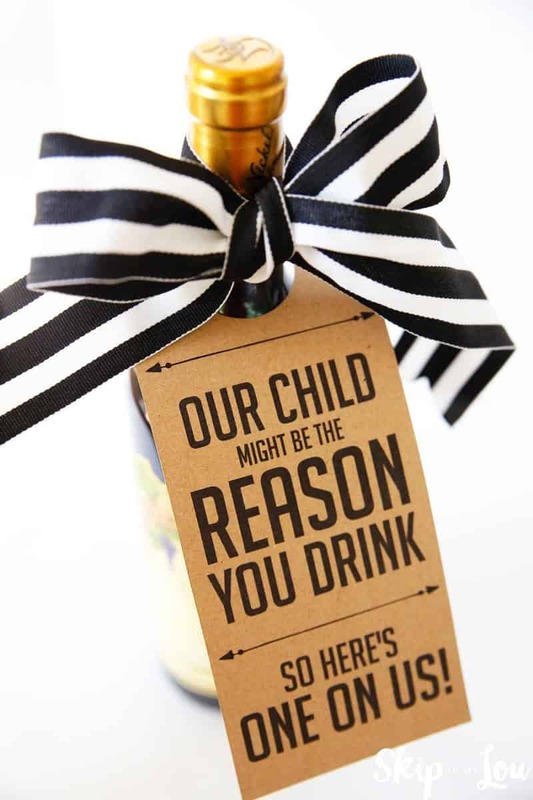 My Child Might be the Reason you Drink Teacher Wine Gift makes for a funny teacher gift! It will not only make them laugh it will be appreciated. A teacher CAN have too many mugs. 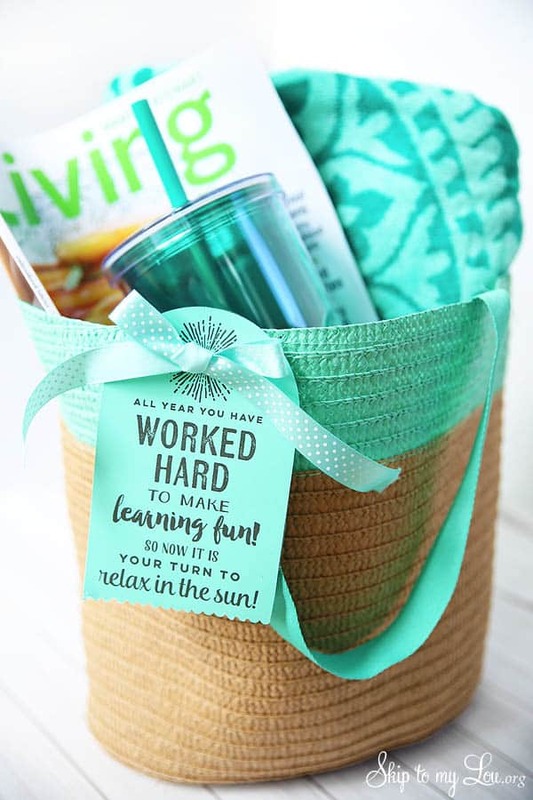 If you are looking for more fun and clever ideas to thank your teacher don’t miss all of our teacher gifts. This teacher gift couldn’t be any simpler. 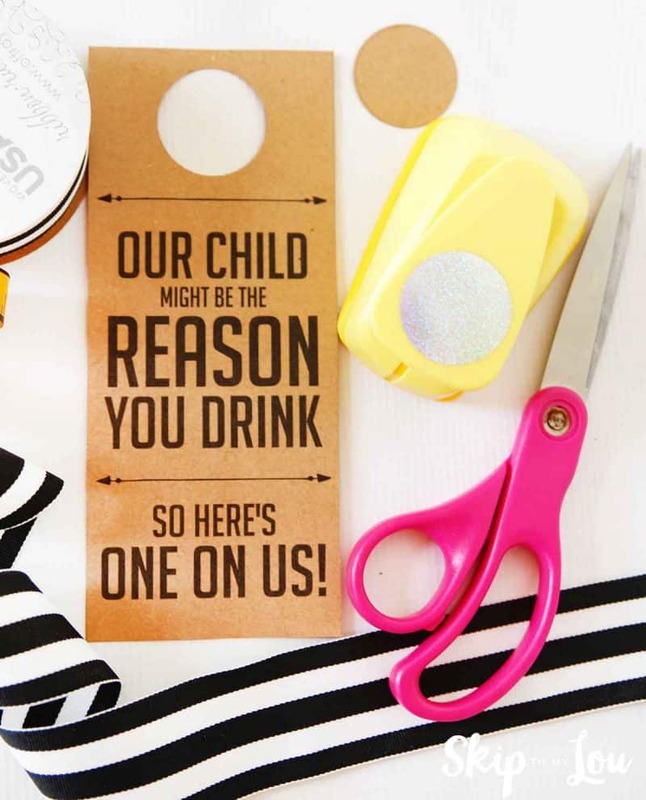 You only need a few supplies and you are on your way to creating a memorable teacher gift! 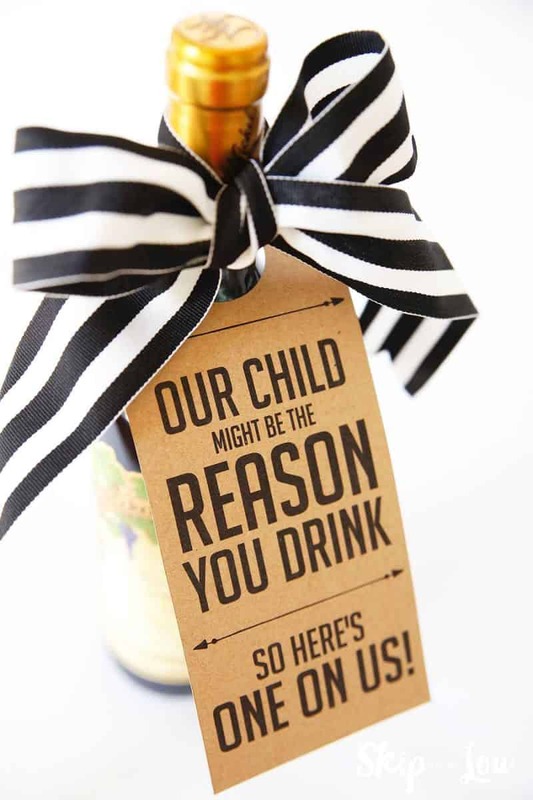 So let’s make this funny teacher gift! 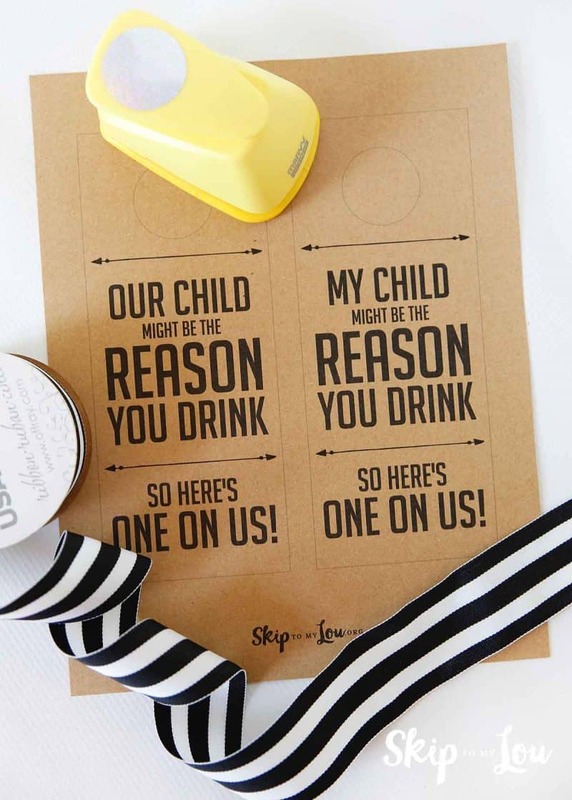 Download and print the wine tags on cardstock. I chose kraft colored cardstock but any color will work! I found this cardstock at a local craft store. Sometimes I can find it in 8 1/2 X 11-inch sheets. When I can’t I cut down a 12 X 12 inch square of scrapbooking paper to the correct size. Cut out the tag. Use a 1 1/2 inch circle hole punch to cut a hole in the tag. You can find one of these large punches at crafts stores or online. I use a 1 1/2 punch for so many crafts. Place the tag on your favorite bottle of wine. Add a bit of ribbon and you have one sweet teacher gift they are sure to love! 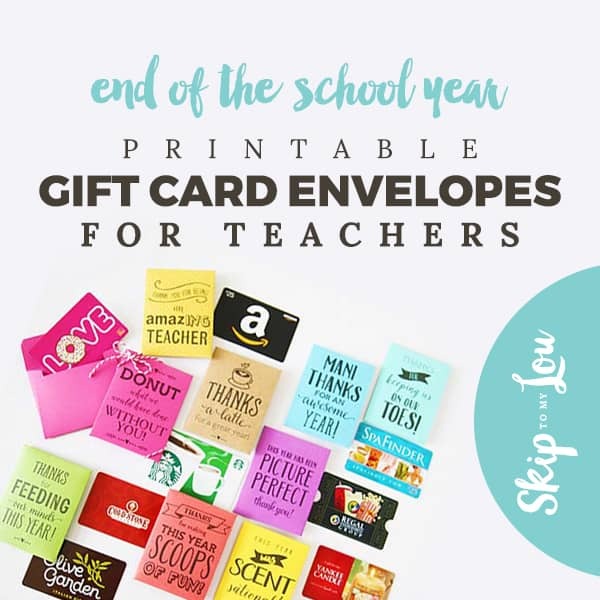 A perfect gift to help your teacher relax this summer after a long school year! Print of these cute envelopes, cut and assemble for a gift teachers love! 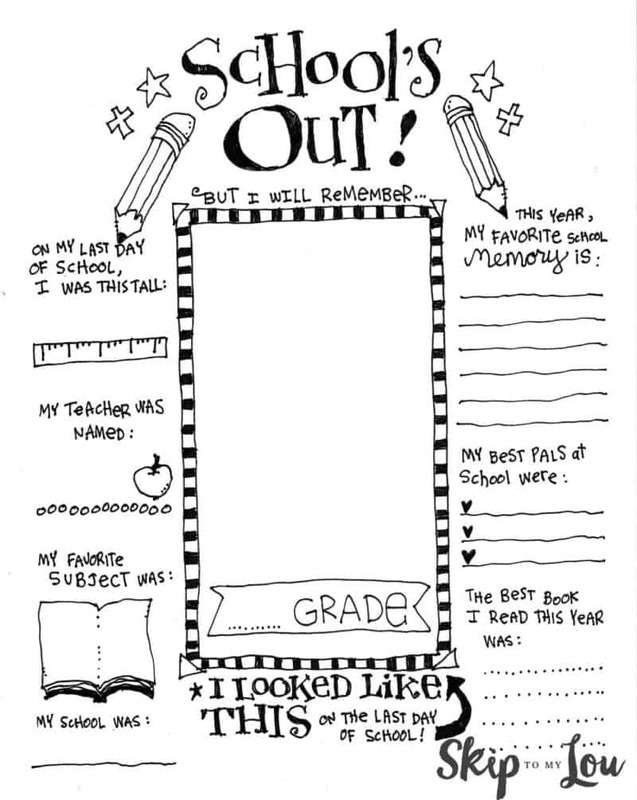 This darling printable will thank a teacher for making this school year scoops of fun! What a cute teacher gift. and of course, don’t forget to mark the end of the year with this cute end of school year coloring page.